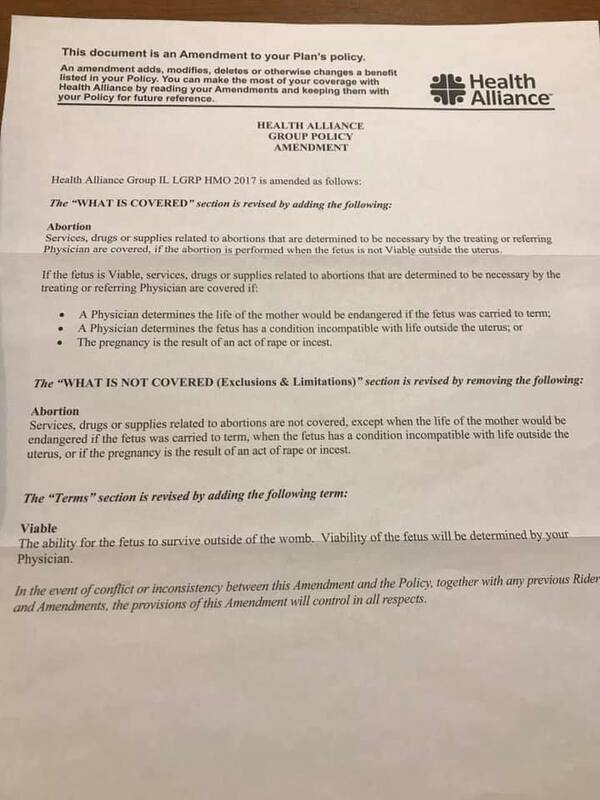 Thanks to the Democrats in a Springfield and the traitor Bruce Rauner, Illinois taxpayers are forced to pay for abortions. Illinois will become the abortion capital of the Midwest as women flock here to murder their babies. That is why Rauner lost – he lied about not signing the bill. This letter was sent to the employees of Illinois State University by Health Alliance to state what changed because of Rauner. Don’t be confused by the “What is not covered” statement. That verbiage was removed. Since your tax dollars go to ISU, you are paying for abortion. Posted in BloNo, Bloomington, Local, Normal, Progressives, State, Taxes.Tagged abortion, Bruce Rauner, free abortions, Health Alliance, Illinois, Illinois State University, ISU. “ISU PROVIDES FREE ABORTIONS”. ISU also provides Marxist political indoctrination and (in many departments) a 3rd-rate education, but that is no different than many colleges and universities today. This isn’t anything new; back in the ’80’s, U of I provided free abortions at McKillme, er McKinley Health Center… I’m sure this is still true today…. How soon before the LIBERALS and Prickster revise this and allow abortions minutes before birth like the killers in New York just did? My guess: before the end of the year.